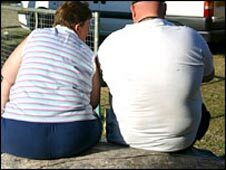 Nine areas have been given the go-ahead to become "healthy towns" under a plan by ministers to combat obesity. Dudley, Halifax, Sheffield, Tower Hamlets in London, Thetford in Norfolk, Middlesbrough, Manchester, Tewkesbury and Portsmouth will share a £30m pot. The areas will all match the government funding to develop a host of schemes related to cycling, walking, healthy eating and green spaces. It is part of a wider public health drive being rolled out in England. Health Secretary Alan Johnson said: "Obesity is the biggest health challenge we face. "For the first time we've given nine areas "healthy town" status. "This means they must promote healthy living. Each town has come up with innovative ways - such as a loyalty schemes or cycling projects - to help their residents to be more active. Among the measures put foward is a project called Points4Life in Manchester, which is a loyalty scheme to reward people with free activities or healthy food when they take exercise. Thetford is planning a "cycle recycle" project which supports people to buy and maintain bikes. And in Tower Hamlets, a new award scheme will be launched promoting how healthy fast food outlets, cafes and restaurants are. The idea was first put foward in the government's obesity strategy earlier this year to combat rising rates - nearly a quarter of adults and a fifth of children are obese, according to latest figures. The healthy towns are part of the Change4Life campaign, the government's public health drive to encourage a "lifestyle revolution". The Change4Life programme is involving community groups, supermarkets, the media and charities in efforts to help people eat more healthily and be more active. Other initiatives in the pipeline include cut-price promotions on fruit and vegetables and breakfast clubs in deprived areas. Tam Fry, of the National Obesity Forum, said the schemes were "very sensible". But he added: "In many ways this is too little, too late. The government should have acted years ago. "However, you have to start somewhere and these are certainly the right kind of schemes." Liberal Democrat health spokesman Norman Lamb said: "This announcement is at risk of being yet another time-wasting gimmick." Can a village really make you healthy? What would make you lose weight?